You work hard to attract potential customers to your business. A great first impression can be the difference between customers choosing your business versus your competitor. A smooth parking lot says a lot about a company. It says that the owners meticulously take care of all aspects of their organization. 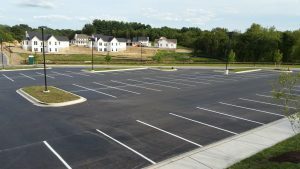 Parking lot sealing ensures that your property will impress at first sight. 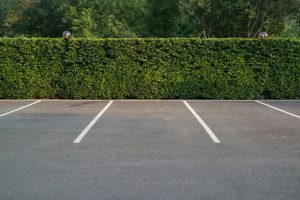 If you are a property owner, keeping your business parking lot well maintained also means happy tenants. A smooth parking lot is safer for people whether they are driving or walking. Consequently, tenants like doctors, lawyers, hair salons, and restaurants demand a sound environment for their customers. Reducing the risks of injuries on your property is always the right choice. The importance of regular parking lot sealing cannot be understated. 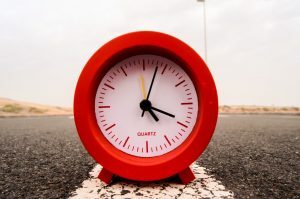 A well-maintained parking lot is also better for your bottom line. Smoother pavements result in a longer pavement life by up to 25%. Regular parking lot sealing allows you to catch small issues, like cracks, before they turn into bigger problems, like potholes. XSealer is a locally owned and operated asphalt paving and asphalt seal coating company. With over 10 years of experience, XSealer promises high-quality work and the best customer service in Maryland. We apply only the best materials on all of our jobs, with our own trademarked techniques. Seal Coating: Parking lot sealing work should occur in the first 1-2 of the new asphalt being put down. Ideally, try to seal your parking lot every 2-3 years. The asphalt turns grey, a sign of stone erosion, if not sealed. We offer two types of seal coating services: Asphalt Emulsion Seal Coating and Asphalt Gilsonite Seal Coating. 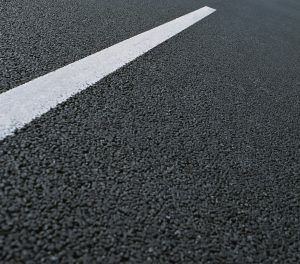 Crack Filling: Fill cracks in your asphalt immediately. If unaddressed, cracks can grow into bigger issues (such as potholes or reflection cracking). Additionally, leaving cracks unattended can result in the problem magnifying to the point that you require asphalt removal and replacement. We offer three types of crack filling services: Sand Based Crack Filler, Rubberized Tar Based Crack Filler, and Hot Pour Crack Filler. 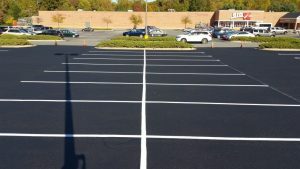 If you are in need of parking lot sealing or other asphalt services, contact us today for a FREE estimate.